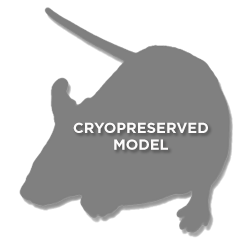 The Pdgfrb-Cre Mouse was developed in the laboratory of Ralf Adams at the London Research Institute. The model was generated by microinjecting a transgene containing a genomic Pdgfrb promoter fragment fused to cre recombinase and a polyA sequence, into 129/B6 zygotes. Founder lines were maintained on a mixed 129;B6 background. Taconic received embryos from CRT in 2013. Foo SS, Turner CJ, Adams S, Compagni A, Aubyn D, Kogata N, Lindblom P, Shani M, Zicha D, Adams RH. (2006) Ephrin-B2 controls cell motility and adhesion during blood-vessel-wall assembly. Cell. 124(1):161-73. Ephrin-B2 controls cell motility and adhesion during blood-vessel-wall assembly.